Close Encounters with the Night Kind: The Magic Touch Giveaway Hop and Swag Bonanza!! Welcome to my stop on this amazing Hop!! 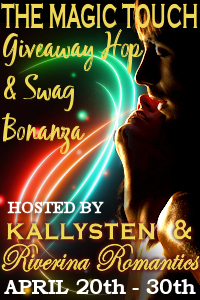 This Hop is hosted by author Kallysten and book blog Riverina Romantics. In addition to individual prizes provided on each blog, we are offering assorted swag to the first 100 participants who simply tell us they want some! See all details and sign up here. So what first enticed me to be fascinated with magic? The beauty and decadence of it all. I love the thought of other-worldly beings being able to manipulate nature and other forces at will. The mystery that shrouds the legends in which they all star in. The possibility that there is more to this life then we know. I've read a book recently that combined gothic, paranormal, and magic all wrapped into one. It was an amazing read and I want to share it with you! I will be gifting 3 people this amazing book from Amazon. Believe me you will not be disappointed!! Synopsis: **** A PARANORMAL GOTHIC DETECTIVE TALE **** Between these pages you will find yourself transported back in time to the high Gothic. Victorian London. The year is 1899 and both the century and the Queen are dying. As the London populace is gripped by a terrifying series of paranormal murders, eighteen year old Kaspian Blackthorne finds himself on a decadent journey of self discovery. Victorian London is a place where appearance is everything, but sometimes appearances can be deceiving. Behind the grand houses, carriages and silks, London is a dark labyrinth of sorrow and violence. Amongst the gambling dens, dancehalls, and brothels you'll find No 7, known to its members as Eve's; the most exclusive club in London, infamous for its 'Palace of Beautiful Freaks'. Each exhibit has a history, each their own unique story. I love shape shifters, in particular the large cats. I really love all of them but I do also love reading about shifters. 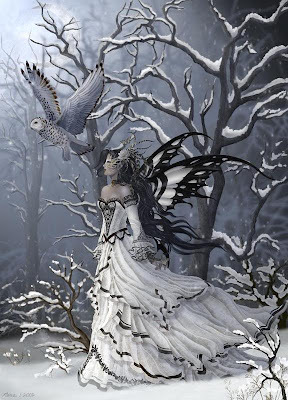 I love reading about faeries, especially when they have a dark side. I know they're not a creature, but I love reading about witches. Creature wise, I would have to say werewolves. I enjoy reading about them all, but the shifters are generally top of the list :) Thank you for participating in this fun hop - its the best one this year! Since I think that shifters are magic, I will say that I love all kinds of shifter books. Here are just a few of my favorite shifter stories: Shelly Laurenston: The Pack/Pride, G. A. Aiken: The Dragon Kin, , Carrie Ann Ryan: Redwood Pack, Christine Warren: The Others, Bianca D'Arc: Dragon Knights, Eve Langlais: Freakin', Jet Mykles: Leashed, Laurann Dohner: New Species, Lora Leigh: Breeds, Vivian Arend: Granit Lake Wolves, Zena Wynn: True Mates, Ranae Rose: Half Moon Shifter, Marie Harte: Firebreather/Cougar Falls. I enjoy reading about werewolfs, vampires and ghosts. I do love reading about witches. Love the magic. 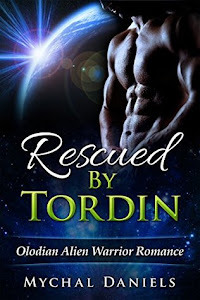 I love a shifter story best of all. I love shifters! Dragons are fun!! thanks for the fun post and giveaway! To be perfectly honest, I don't have a favorite :) Love them all! I truly love them all! Witches, fairies, shifters, vamps, etc... This is my favorite type of story to read. 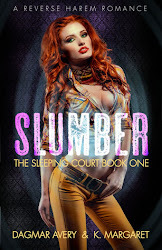 I would say that my favorite tends to be shifters, but one of my favorite paranormal series is from Leia Shaw. Her Destiny series has a bit of everything. I love it. vampires, shifters, mythology I could honestly go on and on . I like to read about all magical creatures. I'm not sure that I have an actual favorite. If the story is good and the characters are good, the magical creature used within will be amazing. I like variety so I like a good mix. There was a good (and quite frankly freaking hilarious) book called Gil's All Fright Diner that mixed a lot of creatures within the humorous pages (seriously funny from beginning to end) and it made me realize that I just really like a mix of magical creatures and don't really have one exact favorite (I hope all that made sense, it worked better in my head before I tried to type it out). Thank you so much for the chance to enter the giveaway! Happy day to you, one and all. I love to read about shifters my favorite kind of shifter is wolf.